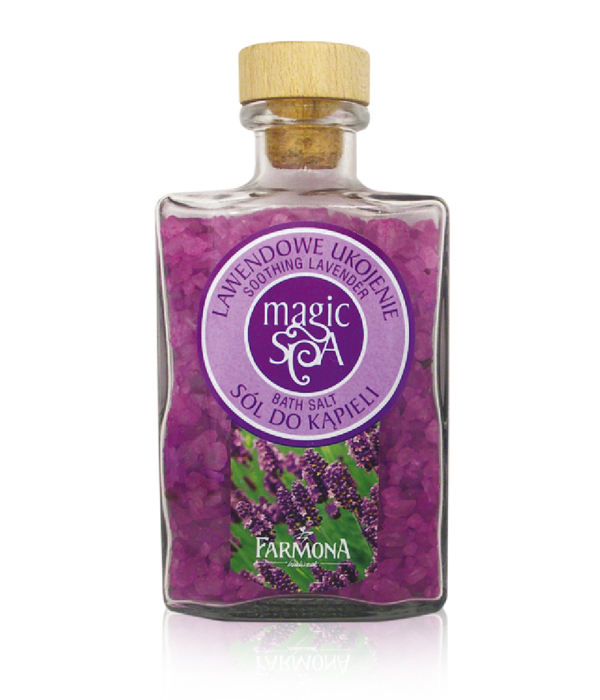 Aromatic Soothing Lavender bath salt with natural essential oil and precious microelements. The cosy scent of Mont Blanc lavender enables one to travel to carefree childhood days, regains peace of mind and internal balance. It lowers tensions, calms and eliminates tiredness after the whole day. Aromatic bath salt cares and washes, leaving the skin velvety soft and pleasant to the touch. Lavender natural essential oil and microelements. Sodium Chloride, Sodium Lauryl Sulfate, Silica, PEG-25 PABA, Parfum (Fragrance), Lavandula Angustifolia (Lavender) Oil, Alcohol Denat., Linalool, CI 42090, CI 45100.